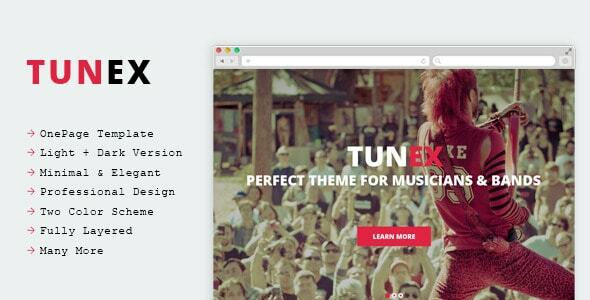 TUNEX is a Professionally designed Single Page Music PSD Template with clean & modern design. All PSD files are well organized and named accordingly so its very easy to change. The PSD files are fully layered and easily customizable.